A couple of years ago, I experimented with a video project inspired by a scanner artist I saw on an HGTV design show segment. This artist scanned various items and tweaked images in different ways for some interesting 2D effects. It looked fun and I wanted to try it too. 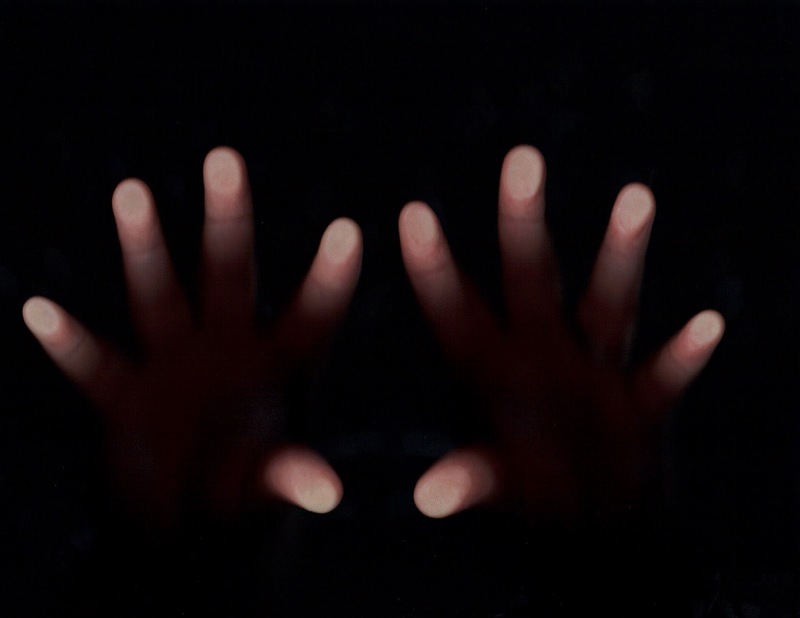 I started by scanning my hands and fingertips, getting some cool effects. Then I moved to my face. The images revealed slightly distorted versions of me that came off with a cool, kind of creepy feel. This in turn inspired me to make a video, using a succession of my scanned self-portraits. I saw it as a way to recognize and confront my fear demons–a chance to let them motivate me, instead of swallowing my creative spirit. We should not put so much energy into our fears that they manifest into these big, terrorizing, creativity-bashing monsters keeping us from our creative growth. I hope you will watch the clip below (1 min:11 sec) and share your thoughts in the comments. 03 May	This entry was published on May 3, 2013 at 2:35 PM. It’s filed under Photography and tagged creative journey, encouragement, fear, self portrait, video self portrait. Bookmark the permalink. Follow any comments here with the RSS feed for this post. Newer: 9 Ideas to Boost Your Creativity! very creepy cool! As you start disappearing into the dark, I tried looking in harder for you….and the smeared fingers…..wow…..and then the unexpected “inspire”. Brilliant!